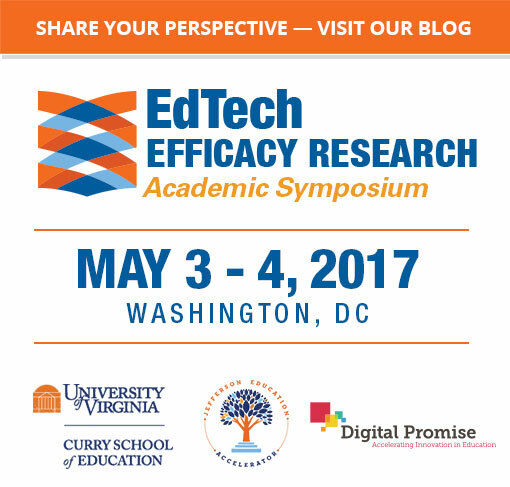 Of the most popular EdTech products/programs in Higher Ed and K-12, how many have been evaluated and by whom? What role did research play in developing these products/programs as opposed to functioning as marketing after the products were already successful? When was efficacy research done in relation to the development of the product, marketing efforts and capturing market share? To what extent was product research conducted prior to the financial viability or after (as part of marketing efforts)? On September 28, 2016, Working Group C had their most productive meeting to date with the most members in attendance and substantial progress made in meeting our research goals. The Group C Lead Researcher, Dr. Joe Garofalo, developed the group’s ambitious research template that will allow them to answer the research question, to what extent do the developers of popular Ed Tech products conduct or commission research to support the development and/or assessment of the efficacy of their products? Efficacy research to determine if the product achieves its purported goals (Evaluation Research). The first part of our work has been to identify criteria to develop a list of the most popular Ed Tech products. Our committee, with the assistance of Mr. Luyen Chou and his staff, has developed a comprehensive list of categories and is attempting to identify high performing products in each of these categories. One of the purposes of this post is to elicit help from our leaders in developing a list of popular Ed Tech products. This work could be a research assignment in itself, but in the interest of moving the research question forward, the committee is trying to develop a comprehensive list of high performing Ed Tech products across the categories that we have identified. Reader suggestions and input would be greatly appreciated at this time. Once that list is finalized, a short survey will be sent to each developer with the overall goals of determining how research was used in the development and/or assessment of efficacy of their products; the type of research that was conducted; and the revenue source used to support the research used. The committee anticipates that the survey results will require additional research to better explain what the data collected is actually telling us. Once again, we are reaching out to our readers, and in particular product developers, who would be willing to participate in a phone interview in order for us to better understand the role research played in the development and/or the assessment of the efficacy of their products. Please contact Dr. John Hutton (jhutton@d56.org or 847-336-0800) if you would be willing to assist Working Group C with their research. Ann has supported NSBA’s education technology work since 1992 and created their “20 to Watch” recognition. She was named as a 2014 Top 30 Technologists, Transformers and Trailblazers by the CDE. Colleen has worked in the field of education for over 30 years as a classroom teacher, school principal, and district level administrator. In the past ten years she has focused on developing high quality professional development for teachers. Daniel started his career in investment banking at Goldman Sachs, but quickly realized that he wanted to combine private capital with the creation of a next generation of socially beneficial education companies. Daniel currently sits on the boards of Ponce School of Medicine, Synergis Education, Galvanize, Qubed and EDEX. Glen is the CEO of WestEd, a national research, development, and service organization focused on equity, excellence, and improved learning in children, youth, and adults. She previously served as Executive Director of Learning Innovations and of The Regional Laboratory for Educational Improvement of the Northeast & Islands. Before founding Fidelis Education and 50+ implementations of Learning Relationship Management, Gunnar was previously VP of Operations at Inside Track and a consultant at Bain and Company. Joe has been in a variety of roles at UVA. He is a mathematics educator, and in this role he oversees the secondary mathematics teacher education program in the Curry School of Education, teaches undergraduate and graduate courses in mathematics education, and works with doctoral students. His interests in mathematics education include problem solving, educational technology, engineering education, and mathematics teacher preparation. Joe's other roles at UVA have been quite different - he has been an associate dean, the Chair of the University’s Faculty Senate, and the first faculty member in the history of the University to serve on the University’s Board of Visitors. Although these roles are different in many ways, they all involve problem solving of one kind or another. John as served as superintendent at Gurnee School District 56 for ten years. He was named NSBA as one of the twenty educational leaders to watch in 2015. Gurnee School District 56 received the Apple Distinguished Program Award in 2013. Before coming to Harvard, Jon served as the Board of Education's Director of Budget and Financial Policy for the Los Angeles Unified School District. From 2002 to 2005 he was Vice-President of Strategy, Evaluation, Research, and Policy at the Urban Education Partnership in Los Angeles, and he worked for six years at McKinsey & Company as a strategy consultant and Senior Practice Expert in Education. Joshua oversees the development of data collection and analysis systems at Highlander Institute. He previously worked at the Regents Research Fund with the New York State Education Department and was also a Strategic Data Fellow with the Center for Education Policy Research at Harvard. Joshua is a high school social studies teacher who has served on several institute boards, including DigiLearn and Innovate Technology Teams. He is actively continuing his education at UNC Charlotte, pursuing a Master's degree in social research, social studies, and educational development. Karen has an extensive background in both general and special education. She has held both building and district level administrative positions prior to assuming the superintendency of Indian Prairie District 204. Lori has worked for 31 years in education of which 21 years were at Gurnee School District 56 working with the superintendent and Board of Education to provide assistance to students and parents throughout the district. Luyen is responsible for Pearson’s global product strategy, management of its product portfolio, and its global strategic partnerships. Prior to this role, he served at Pearson as Senior Vice President, Product Strategy, and Chief Product Officer for the K-12 Technology group. Luyen joined Pearson in 2011 through the acquisition of Schoolnet, a US software provider of data-driven curriculum and assessment solutions for K-12 school districts and states. Perry is an Arthur Thurnau Professor of Atmospheric Science. He co-founded The Weather Underground Inc. and serves as senior vice president for learning innovation at Echo360. Perry is an Arthur Thurnau Professor of Atmospheric Science. He co-founded The Weather Underground Inc. and serves as senior vice president for learning innovation at Echo360. Tammy previously worked in South Africa and Egypt leading education and workforce development projects for Price Waterhouse's International Strategy Group. She returned to the U.S. to run client services for a software startup company in San Francisco, and at Diamond Technology Partners. Tammy was later appointed to the U.S. Department of State, where she helped manage a $300 million investment fund focused on economic and education foreign assistance to the Middle East. In 2006, she refocused on education technology in the U.S. working with leading education organization including New Schools Venture Fund, and for-profit education companies.